That they're very professional and very thorough, they explain what they're going to do and then do exactly what they say they will. When the owner came beforehand, we liked that he took inventory of our house, told us how they would do the work, and asked what we needed and wanted. When the cleaners came, they were very professional, courteous, and accommodating as far as moving from room to room. We're so happy with them, we can hardly stand it. I feel safe with them and they're very trustworthy. If they find a penny, they put it on the dresser. They can clean my shower door like nobody's business. I don't know how they do it. They're fabulous. They were thorough, trustworthy, and they did what they said they were going do. I like that they were able to clean my home when I needed them to, on really short notice. 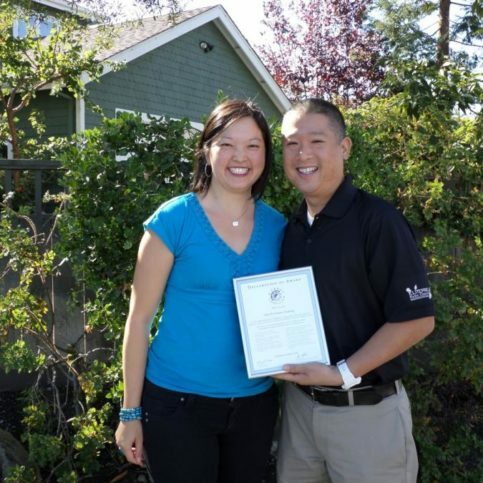 Jennifer and Josh Young are owners of Elite Pro Home Cleaning. Elite Pro Home Cleaning provides a complete range of cleaning services for residential and commercial clients in San Mateo and Santa Clara Counties. The company uses Green Seal Certified chemicals and environmentally-friendly materials such as microfiber dusting cloths to clean all types of homes and offices. It offers weekly, bi-weekly, monthly and one-time cleanings for its customers’ convenience. Customers are given peace of mind knowing that Elite Pro Home Cleaning is licensed, bonded, insured, and all employees are covered with workers’ compensation insurance. “We know our customers’ homes are their most precious assets, so they don’t want to take any chances when hiring a company to be inside their homes,” says Josh. Established in 2003, Elite Pro Home Cleaning takes pride in building win-win, long-term relationships with both customers and employees. “Our company longevity and customer loyalty are true testaments to the service we provide,” says Josh. Elite Pro Home Cleaning takes a detail-oriented approach to cleaning. Elite Pro Home Cleaning has been providing residential and commercial cleaning services for clients in San Mateo and Santa Clara Counties since 2003. The company offers weekly, bi-weekly, monthly and one-time cleanings for its customers’ convenience, and its services include everything from general kitchen, bathroom and living area cleanings to detail-oriented work like hand wiping baseboards and edging carpet. If you hire a professional house cleaner, don’t be surprised if your initial services are “priced up.” When a cleaning company “prices up” its services, it essentially means a client’s first two cleanings cost more than the company’s regular service fee. 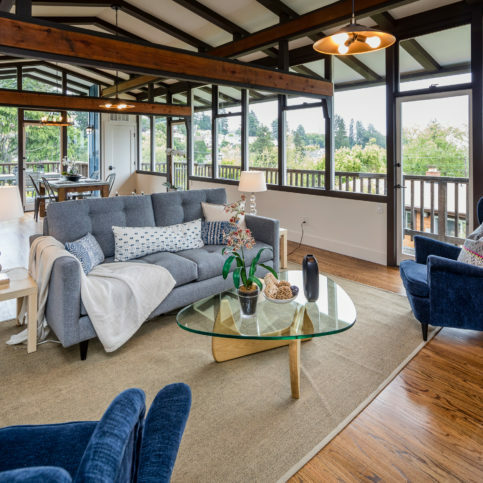 According to Josh Young, co-owner of Elite Pro Home Cleaning in Redwood City, this is because initial cleanings consist of bringing homes up to maintenance level, which entails a more thorough, focused cleaning than is needed for normal service. “Bringing a home up to maintenance level allows a company to perform subsequent cleanings with greater efficiency,” he says. Q: Do you provide weekend service? A: Our typical schedule is Monday through Friday, but we make ourselves available for one-time weekend cleanings if you have an emergency or special occasion. We do charge more for weekend service—typically an extra $10 per hour. Q: Why are you more expensive than some other cleaning companies? A: One reason is that we’re fully licensed, bonded and insured, and maintaining those credentials is expensive, especially in California. However, we believe it’s worth it to provide our customers with peace of mind. For example, since we have workers’ compensation insurance, our customers don’t have to worry about lawsuits from accidental injuries that may occur in their homes. Another reason we charge more is simply that we provide a higher quality service than many cleaners. Our price may be higher, but the value we provide is worth it. Q: Do I need to provide any cleaning materials or equipment? A: No, we bring all our own equipment and materials, including vacuums, mops, towels, and cleaning products. Q: Will you use a cleaning product that I provide? A: Yes, we’re happy to use any cleaning products that you prefer. Q: Is there anything you won’t clean? A: To ensure the safety of our employees, we don’t allow them to stand on anything while they’re cleaning, which is why they have extension poles to reach high places. We also don’t allow them to move heavy furniture, but if you want to move a couch or table yourself, they can vacuum underneath. Q: How many workers do you assign to each job? A: Typically we assign two workers to every job, but sometimes we’ll add a third person to the team. 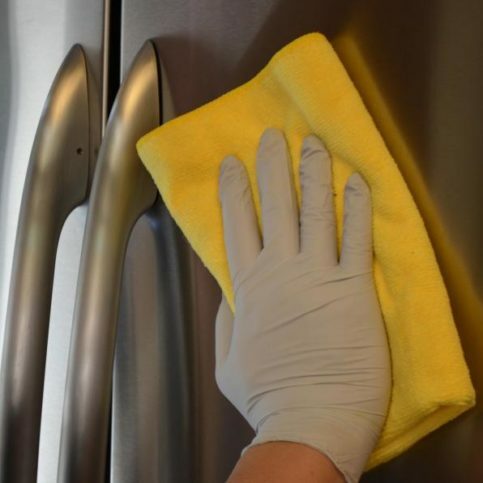 An Elite Pro Home Cleaning employee uses a microfiber cloth to clean a refrigerator. Elite Pro Home Cleaning provides bed sheet changing services. Elite Pro Home Cleaning’s Green cleaning products keep customers’ homes safe for kids and pets. 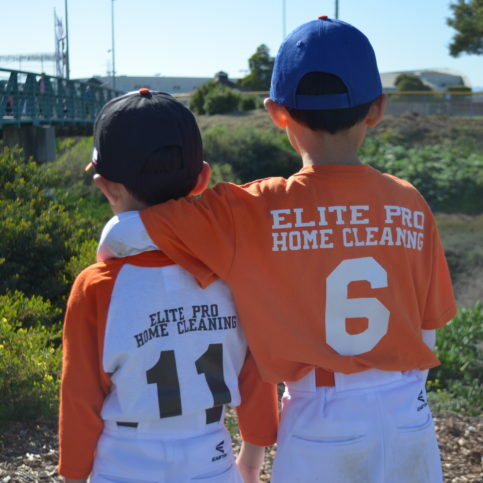 Elite Pro Home Cleaning takes great pride in supporting its local community. Elite Pro Home Cleaning provides detailed kitchen cleaning services that make its customers’ homes more warm and inviting. Elite Pro Home Cleaning’s cleaners move items to ensure everything is cleaned thoroughly. 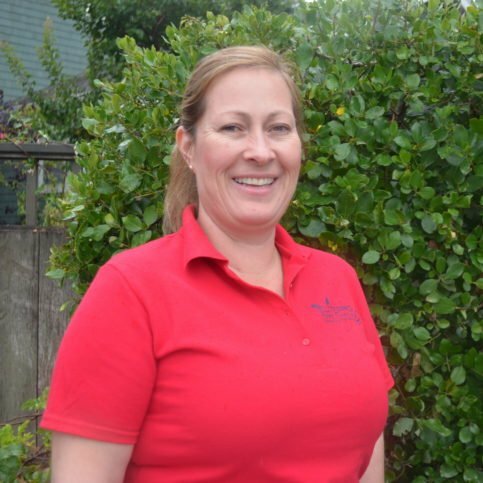 Jennifer Young is owner of Elite Pro Home Cleaning, a Diamond Certified company since 2013. She can be reached at (650) 720-5986 or email. A: Dog person. We have a yellow lab named Bailey. A: Christmas—I love spending time with my family. Most commercial stainless steel cleaning products either contain harsh chemicals or are made with mineral oil. A Greener, more affordable option for cleaning your stainless steel appliances is baby oil. Not only is baby oil environmentally friendly, you probably already have some at home, so you’ll save money. Before applying baby oil to a stainless steel appliance, you’ll need to prepare the surface. Moisten a towel with warm water, apply some dish soap and wipe down the stainless steel surface. This will remove any grease and oily buildup that has accumulated on the surface. After allowing the surface to dry, it’s time to apply the baby oil. Don’t use too much; otherwise, you could wind up with an oily film. Also, be sure to clean along the grain of the stainless steel—in most cases, this is horizontally from left to right, so double-check that you’re moving in the right direction. When correctly applied, baby oil will provide a shiny, protective coating to your stainless steel appliances. If one of your stainless steel appliances has scratches, you’ll be glad to know there’s an inexpensive way to remove them. For less than $10, the Rejuvenate® Stainless Steel Scratch Eraser Kit provides a simple way to repair a scratched stainless steel surface. The kit consists of three scouring pads (coarse, medium and fine), an applicator tool, a microfiber towel and a lubricant. REDWOOD CITY — One important kitchen cleaning task is cleaning the inside of your microwave. However, this can be difficult if you’re dealing with food residue that has hardened onto the door and walls. Fortunately, there’s a simple way to take the frustration out of this task. First, fill a glass bowl with water and add two tablespoons of distilled white vinegar. If desired, you can also add some lemon juice to give it a fresh scent. Put the bowl inside the microwave and set it to run at high power for about seven minutes. This will generate steam inside of the microwave, which will loosen any hardened residue. Instead of having to scrub, you’ll only need to perform a light wiping and the residue should come right off. As a bonus, you can use the water/vinegar mixture in the bowl as a cleaning solution. Caution: After microwaving the bowl, wait a couple of minutes for it to cool before removing it from the microwave. Another, more fun way you can do this is by using the Angry Mama™ Microwave Cleaner, which you can purchase online or at your local home goods store. REDWOOD CITY — To ensure both general cleanliness and sanitation, a bathroom needs to be cleaned on an ongoing basis. 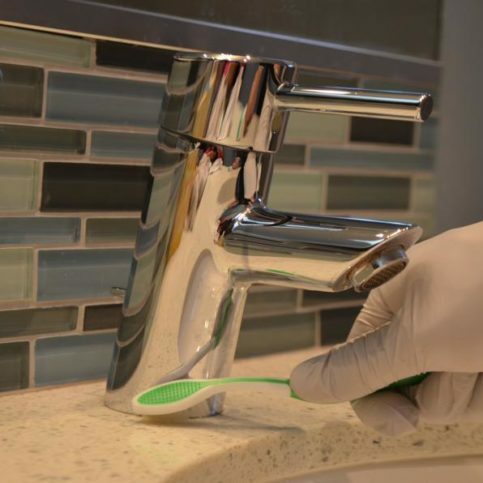 In addition to routine cleanings, however, there are ongoing steps you can take to proactively maintain bathroom cleanliness. One area of the bathroom where ongoing cleaning is particularly important is the shower. Due to the continual presence of moisture, a shower provides an optimal environment for mold to grow. Fortunately, there are a couple of easy ways to minimize latent moisture. First, maximize ventilation: in addition to running the vent fan when bathing, keep the window open so excess steam can escape. A further proactive step is to keep a squeegee in the shower and use it to wipe excess moisture off shower walls after bathing. In addition to ongoing maintenance, you can take steps to facilitate greater efficiency with professional cleaning appointments. One helpful step is to clear off your bathroom counters prior to your housecleaner’s arrival. Put makeup, lotions and other items in a basket to ensure this area gets thoroughly cleaned. REDWOOD CITY — Host, Sarah Rutan: Do you dread cleaning your microwave? Then you’ll want to learn a helpful hack for simplifying the job. Today we’re in Redwood City with Diamond Certified Expert Contributor Jennifer Young of Elite Pro Home Cleaning to learn more. Diamond Certified Expert Contributor, Jennifer Young: In between your regular cleaning service it’s always good to maintain your microwave. Sometimes it can be difficult when food gets stuck on the turntable, or the door, or the walls. So here’s a quick tip for you: Fill up a glass bowl with water and add a couple of table spoons of white distilled vinegar. You could also add a little bit of lemon in there as well to give it a fresh scent. For a more fun way to do it you can also get what’s called an Angry Mama, and the Angry Mama does the same thing. Basically what you do is you also pour the vinegar or the water in there and then you just put it in the microwave, and you do it for about seven minutes, and what happens is it actually creates a lot of steam in the microwave. So after the seven minutes just let it sit in there for another two minutes so that it’s not too hot when you take it out. And then when you open up the microwave you take out either the glass bowl or the Angry Mama and you can actually use the solution in there to wipe down your microwave. What you’re going to find is it’s actually going to take out – easily remove – all the food from the walls so that you’re not having to do a lot of scrubbing, and it’s a good green clean way to keep your microwave clean in between your cleaning services. 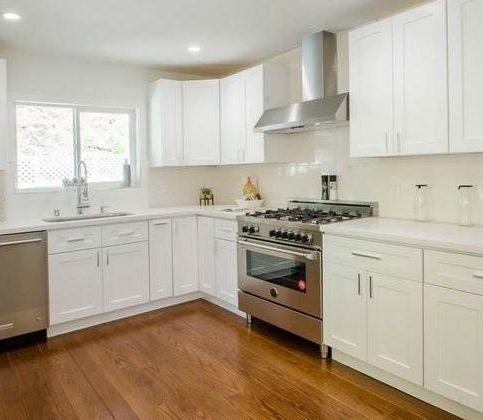 REDWOOD CITY — Host, Sarah Rutan: If your stainless steel appliances have scratches, you’ll be glad to know there’s an inexpensive repair solution. Today we’re in Redwood City with Diamond Certified Expert Contributor Josh Young of Elite Pro Home Cleaning to learn more. Diamond Certified Expert Contributor, Josh Young: Many customers ask about how to get scratches off of stainless steel. Well, I found a very inexpensive way to do that. Amazon, for only $8 or at Home Depot there’s a kit called Rejuvenate. Rejuvenate is actually three levels of scouring pads that will help you smooth out the scratches on stainless steel. What comes with it is you have a light, a medium, and a heavy, coarse scouring pad along with a handle, microfiber towel and some lubricant. What you do is you start with the lightest pad first, and you look at the grain of the stainless steel and in the scratches itself. You take the pad and you lightly rub the scratches out. What happens is going with the grain the scratches will gently disappear, and it works very well with light and medium scratches. And then you can use a heavy grit sandpaper that it comes with for the deep gouges. It actually will lighten up those gouges. It does a very good job doing that. Once you’re done, you just take your microfiber and you wipe it down and shine it up, and it does a very good job. So, I do suggest trying Rejuvenate. 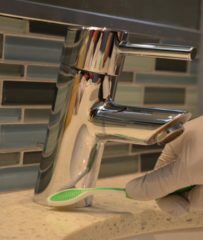 REDWOOD CITY — Host, Sarah Rutan: To keep your stainless steel appliances looking their best, you’ll need to know the right cleaning tools and procedures to use. Today we’re in Redwood City with Diamond Certified Expert Contributor Jennifer Young of Elite Pro Home Cleaning to learn more. Diamond Certified Expert Contributor, Jennifer Young: Today I’m going to give you a tip on an easy and affordable way to clean your stainless steel appliances. What most people don’t realize is that many of your commercial stainless steel cleaners that you buy in the store for $8 to $10 are really either harsh chemicals or made out of mineral oil. So a better more green and affordable way to do it is to basically just use baby oil. The nice thing about it is that it’s better for the environment and you probably already have it in your cupboard. So it’s very easy. All you do is you use a little dish soap and a rag. Use a little bit of warm water on the rag, and you’re going to put the dish soap on the rag and you’re going to clean off all of the grease and oils that are on your refrigerator. Than after that, after your refrigerator has dried you’re going to follow up with the baby oil. The baby oil adds a nice shine and protective coating on your stainless steel, and it’s easy to use. Just a couple things: make sure you don’t use too much baby oil because then it’ll get an oily film, and also make sure that you clean with the grain of the stainless steel. In most cases that’s horizontally from left to right, so make sure that you’re just wiping from left to right. So this is an affordable green way for you to clean your stainless steel appliances. 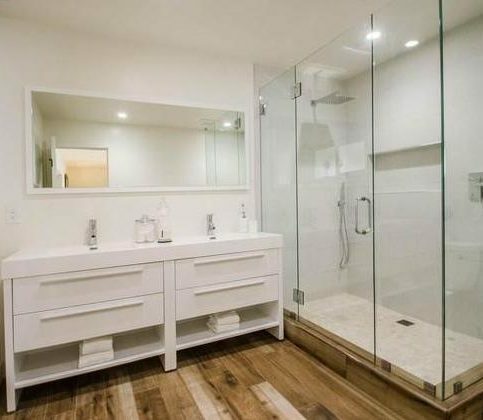 REDWOOD CITY — Host, Sarah Rutan: When it comes to bathroom cleanliness, there are ways to both reduce maintenance and improve cleaning efficiency. Today, we’re in Redwood City with Diamond Certified Expert Contributor Jennifer Young of Elite Pro Home Cleaning, to learn some easy tips to keep your bathroom cleaner. Diamond Certified Expert Contributor, Jennifer Young: A couple tips to help you get a better clean from your cleaning company is to maintain some of the things in your home. One of the big things is your shower. Oftentimes right after you take the shower the best thing to do is to use a squeegee. You can just keep the squeegee in your shower and the last person that showers just squeegee off all the excess water. By doing this, it helps to ensure that no pink mold actually grows in the shower. Additionally, make sure you have good ventilation in your bathroom. So, if you don’t necessarily have a bathroom fan, then make sure to open up your window so that the excess steam can get out and ventilate out. This will help to ensure that the steam doesn’t settle in and allow for additional growth of pink mold, which then could turn to black mold. Another great thing to do that would really help a cleaning company is the more surface area they have available to clean, the better the clean is going to be. So, oftentimes if you have your makeup or your lotions or hairspray sitting on the counter, it just makes it more difficult to get to all of the areas. So, I would suggest getting some great little baskets and filling your stuff, and not only does it help to organize your makeup or keep things in categories, but it makes it easy for the cleaners to go in and they can get more areas to clean. Additionally, you can also put them in your drawer right before the cleaners come and then that even makes their job that much easier and makes your clean that much better. So, hopefully, with these few tips you can use you’re going to get a better clean from your cleaning service. Elite Pro Home Cleaning : Average 8.4 out of 10 based on 197 unique customer surveys of customer satisfaction. That they do great work and we are very happy and satisfied. We would recommend them. The cleaning they do is very thorough. I think the employees who came to my home were courteous and friendly. I had a major medical even where I felt very vulnerable and they were great. We certainly would tell them. They are punctual and we trust them absolutely with everything in our house and they have never broken anything and we don't need to worry about anything. I think they are very pleasant and they are on time. They come to my house when they say they will and they are trustworthy. They do a thorough job and they are easy to communicate with. They are very thorough and very accommodating. They accommodate if you can't keep your appointment and they are willing to reschedule. They are helpful. The cleaners are fine and everything is okay. They are fine and they are doing okay. They are very considerate and they do a good job cleaning. We have a labrador that sheds a lot of hair and they have taken care of all of that. They do a great job and they're very reliable and very friendly. On occasion when we need an extra cleaning, they are responsible and work with us to fit that in. We think they are outstanding. We highly recommend them to all our friends. They do a great job, and they're reliable and trustworthy. I love them. They very dependable, friendly, and I feel very comfortable with them in my home. I feel very comfortable with them in my home. We use them, and we're happy with them. I like that I don't have to do the cleaning. They're very responsive and honest about things that may need to be improved on my end. The quality of their work is good. They are very professional, always on time, thorough, and friendly. They are reliable. I can leave the house without worrying about anything being taken, and they are conscientious. I like that they are insured and bonded. They have broken a few things, but their owner has always replaced or fixed them. They are very reliable and dependable. They do a very thorough cleaning. They get my house clean. I am very satisfied with them. They are fast, on time, and they do good quality work. Ruth has great resources to clean the house. The dependability, they are perfect and I love them.